Libraries Week takes place between the 8–13 October to celebrate the nation’s much-loved libraries, and this year the focus is on wellbeing. With a wide range of mood-boosting books, information on multiple health issues, plus wellbeing boxes for adults, teens and families, there's something for everyone. Our regular events are good for your wellbeing too! Meet new parents at our rhyme times, join a library book group or pop along to Uckfield library this week for our coffee and conversation morning. If you would like to do something new to improve your health, why not give yoga a try? This wednesday Bexhill Library will be holding a free yoga session. Visit ESCIS to find out more about what's going in your local area. Would you like to meet new people, learn new skills and give something back to your community? We have a variety of volunteering opportunities within the library service, from helping people with computers, to delivering books to people unable to visit the library. For further information and to apply online please visit our volunteer page on our website. This winter Crowborough Library will get a fresh new look as painters and furniture fitters come to redecorate. The works will include new lighting, carpets and shelving, plus a new children’s area. We will need to close the library for several weeks while the refurbishment takes place, but don’t worry, we will be providing a temporary library nearby with all the services customers are used to, including public computers, books, printing, scanning, rhymetime and IT For You. We will let customers know about the closure period and arrangements for the temporary library in the near future. We are sorry for any inconvenience caused whilst we modernise your library. For more information please visit our website. 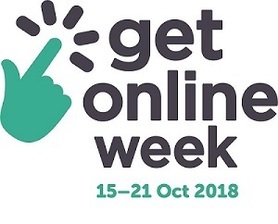 Get involved with the national Get Online Week campaign! Between the 15th and 21st October pledge to try one new online thing. Try using a comparison site to save you money, check out one of our free eBooks, Skype a friend or have a go at coding using one of our micro:bits. Help us spread the word by posting on social media with #try1thing. And don’t forget, we have a range of volunteers in libraries to help you with your new skills. Phone 01323 463759 to book, or pop into one of the IT for You sessions that week. 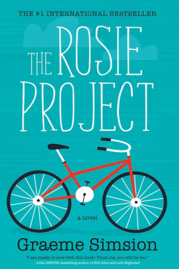 This month's book is 'The Rosie Project' by Graeme Simsion and is chosen by our Team Manager, Alice. I really enjoyed reading this book; it is well written, friendly and comical whilst having a meaningful and thought-provoking storyline. Don Tillman is a single lecturer who embarks upon a process to find a wife; his approach is methodical but set to fail. As we follow Don his stark description of conversation as well as social norms shine a light on some of the many oddities of society in an affable and friendly way, and take you through the rollercoaster of life and love. My sister recommended this book to me as I was looking for something light-hearted and funny; it didn’t disappoint. I quickly became engrossed in the story, and public transport delays became something I was quietly pleased about! I have now recommended it to just about everyone I know, and everyone has loved it. I hereby lay down the challenge that no one can read it without giggling out loud at least once.